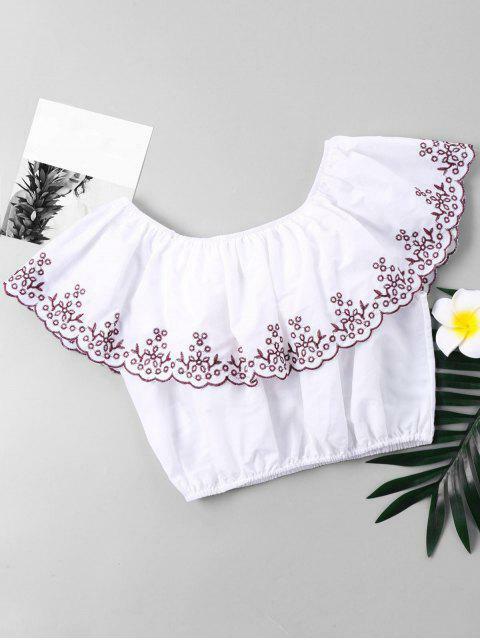 [36% OFF] 2019 Embroidered Trim Flounce Cropped Blouse In WHITE | ZAFUL .. This Charming womanliness crop blouse is a good choice for the seaside journey. 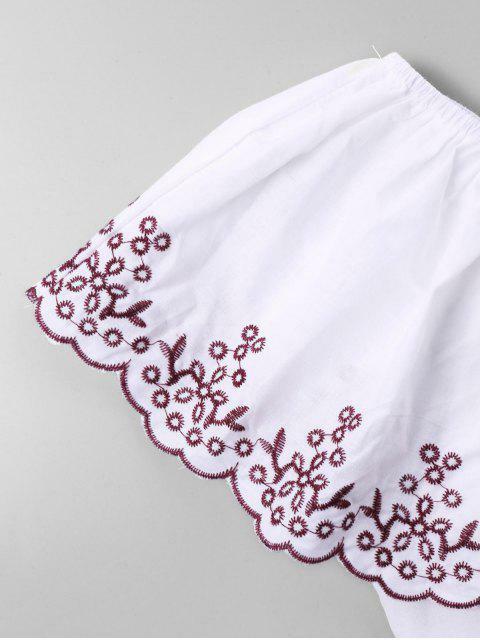 It features wave cut brim flounce with plant embroidery, exposed belly length that can bring you a cool experience in the hot summer, elastic shoulder which has two ways to wear and elastic waist to hold your body. Take a ease holiday in this summer!